Mapou Yanga-Mbiwa was sent of after 41 minutes on Saturday, after giving away a penalty, and Newcastle having been in the ascendancy and one goal ahead were suddenly in deep trouble, and it was only an outstanding and courageous second half display that avoided a defeat. And there’s been some confusion as to how many games Mapou will be suspended for, and it will be only one game, because the sending off was not for violent conduct or the like. But why was he sent off in the first place. That was because he was the last outfield defender, and a foul in that situation warrants a red card with the current rules in place. But the penalty award is bad enough, and what’s the logic in making the offense also a red card? Maybe the powers that be want this kind of thing removed from the game – but surely it’s a big enough penalty for the opposition to be awarded a spot kick – and when this event happens during a game it usually ruins the game as a competitive affair. There were rumbles over the last couple of years that the law would be changed, and the player committing the foul would simply be given a yellow card for the offense. The sooner this rule is changed the sooner we will not have another game spoiled by a sending off – which are far too frequent these days. In the old days before there were technological wonders like sliced bread (forget the Internet and iPhones), sending offs were extremely rare and you had to do something really really bad to get a red card. It’s to Newcastle’s credit that the second half on Saturday was still competitive, and we noticed that some Liverpool blogs after the game not only gave Newcastle credit for their gutsy performance, but also called this harsh law into question. I’m still not entirely certain that this rule is a bad thing? Seems to me the mentality of defenders needs to be called into question. I’m not entirely certain what makes a defender think that as he’s the last man comitting a foul is nescessary. Surely they should be educated to stay on the pitch and let the keeper do his job. Not so sure Ed. It would just increase these sort of incidents imo, with the last man simply taking players down without fear of being sent off. Not sure how sporting it would be. @Ibiza, agreed. This is precisely why the rule was brought in. Seen enough of these situations happen which meant we were denied a goalscoring opportunity prior to the rules introduction. At least now refs can now punish for this sort of behaviour. Yeah if you remember the amount of 1-1’s Bellamy used to have for example. I used to count them and his conversion rate was around 1 in 4. Krul’s penalty record is poor so the defender is better off laying off. A 3 match ban for that offense is well overboard considering we played with 10 men and lost a goal. G…Looks like we’re on a similar page on this one. You expanded the point well, in that even if you take out the risk of the card, defenders should probably leave more to the keeper in most cases, rather than giving away a penalty. Personally, I had no arguments with the Yanga decision. Sadly, it was spot on. Good rule as sometimes you can be denying a goal scoring opportunity outside the box so a free kick is not enough punishment. Good logic mate:- considering that goal denying opportunity can occur outside the box. Transfer- I am all for being optimistic but what’s your thinking behind. the prediction of a record breaking 6-1 victory. Anyone who’s been to a derby game knows that the atmosphere generated can be an issue. That said its good that we now have a side that has experience of what’s involved. Did I also see that you had Remy down for 4 goals that really would mark him down in our folklore. You don’t do anything by halves – oh brave warrior! 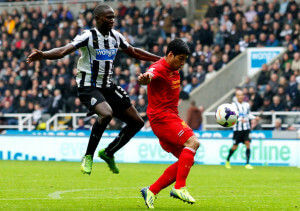 Ed, look at the photo you posted – hes practically flying into Suarez and therefore made a right mess of his job. Yanga made a mistake and was rightly punished. A gentleman does not fly into attacking strikers! If they are good they put in a good tackle. He did wrong, not the rules. If Remy or any of our players are through on goal and get brought down by O’Shea or whoever they play on Sunday, will any of us be hoping that the penalty is awarded but O’Shea stays on the pitch because the double punishment rule is wrong, I don’t think so, it works both ways, rules are rules, Mbiwa has no one to blame but himself, get over it. Doesn’t matter what the rule is, there will always be some incidents that will be perceived as unfair in hindsight. The important thing is that it’s the same rule for all teams. Get rid of this rule and you’d just see more attackers being taken down by the last man and fewer goals scored in open play. Risking a penalty could be seen as even more worthwhile rather than allowing a striker of the quality of Suarez go one-on-one with your keeper. The Yanga decision was certainly spot on – based on the rules as they stand. OK, so you could regard some of the resulting red cards based on the ‘last defender’ to be harsh, based on the circumstances. Yanga should have known better. He didn’t even make a very good job of his professional foul. 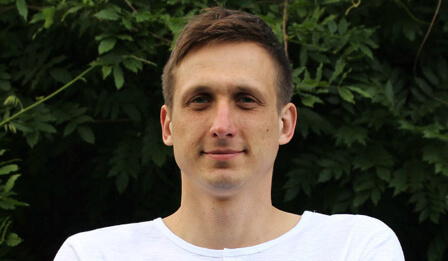 Plus – fans want to see football played the way it was intended and that doesn’t include professional fouls intended to give away less than the foul awarded. Let’s see the players with skill show it – and that applies to even a little s**t like Suarez. That sending off was bad news for Newcastle United but delighted our Liverpudlian friends, I’m sure especially as Suarez made sure they’d be given a penalty and a fellow professional’s dismissal. Maybe it’s time for referees be sat in a room and shown a montage of the cynical tactics of Suarez and his fellow cheaters? with the rule as it stands there is no difference between tugging on someone shoulder in the box and going studs up macmanaman style. How can those have the same penalty?? the spot kick is the equalizer when you add it to a yellow. A straight red,- man down AND a penalty is too much. The spot kick gives back the goal scoring opportunity, an eye for an eye. The man down is over the top. I dont think that the fear of the red is what prevents these things from happening. The defender is going to make or not make the play regardless of penalty. The rule should be changed, but should be so that if a player is brought down IN the box its a pen and yellow, but if he is brought down OUTSIDE the box then it is a red. The red card rule was introduced to counter act the rise in ‘professional fouls’. Like a lot of rules it does appear to be like using a sledge on a pin. I think I have also seen players being red carded just inside their own halves, purely because they are the last man. There certainly needs to be a debate among the rule makers, because the pendulum has swung into the strikers favour and defenders are being unduly sent off. ….and the murky off side rules. G, Ibiza, in principle agreed with the points you’ve made – to a degree. You’ll have noticed that when Remy was in s similar situation, he stayed on his feet, he didn’t take the didn’t to go down as Suarez did, has done on other occasions and will continue to do until officials wise up to his cynical behaviour and tackle it as unsporting behaviour, worthy of punishment. That is as bad as the foul and should not be ignored. Lesh, Suarez has always been ‘vertically challenged’ shall we say, but yes, you are right… to a degree also. A good individual example in your favour, but overall, I think it’s a rule that was needed, and I see no point in revising, or removing it. Think of Solkjaer fouling Rob Lee, and Koeman fouling Platt. I think in these situations the foul should automatically be a penalty and a red, followed by a 8 game ban. It’s a great picture.Looks like he is flying down from the sky. I hate to see players red-carded for anything other than violent conduct. It should be last resort as it does spoil the rest of the game as a contest. Yellow and a penalty is enough. And if the attacker can manage to get his shot away, I’m happy that the referee waits to see if that results in a goal before blowing up for the foul. For a last-man foul outside the box, I’d rather see a penalty awarded if the ref feels a genuine goal-scoring opportunity has been deprived than to see the mandatory red. But no-one for Mbiwa to blame than himself, as the rules stand. he was poor.